The "Twilight" Zone. 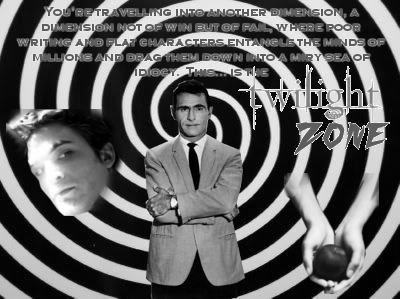 Rod Serling would have a thing o two to say to Stephenie Meyer.. Wallpaper and background images in the Critical Analysis of Twilight club tagged: the twilight zone twilight. I think Serling is annoying.